Successful Innovations Need Inspiration, Commitment And Persistence. It began with an idea… to find a better alternative to traditional screw type connection technology. From this idea, WAGO invented spring pressure connection technology. Convinced this technology was the future method for wiring electrical connections, WAGO was incorporated in 1951. Since then, WAGO has continued to innovate and find new applications for spring pressure connection technology. With billions and billions of units in service today, it’s difficult to find modern electrical or automation systems that aren’t benefiting from WAGO innovations. Through the years, many people have contributed to WAGO’s success through their commitment and dedication to improving the industry. They believed in our company, were open to our industry-changing technologies and promoted these ideas with sincerity and passion. We thank them for their persistence and belief in finding better ways. 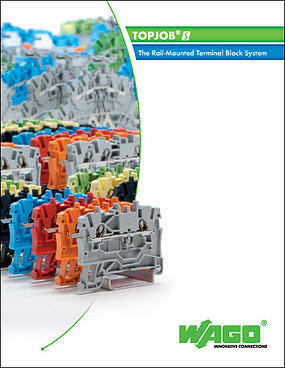 WAGO offers a wide range of pluggable installation connectors (acc. 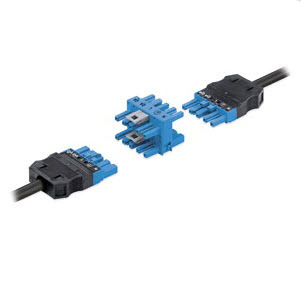 to IEC 61535/EN 61984), industrial connectors (acc. to IEC/EN 61984), and specialty connectors (e.g., shaft installation for elevators). WINSTA®, the MULTI CONNECTION SYSTEM (MCS), and picoMAX®, provide you with three product series that enable quick and easy realization of the most diverse connection requirements. The right solution for any application: WINSTA®for safe and time-saving building installation, PCB connectors for device connection, and flying leads for different mounting types. 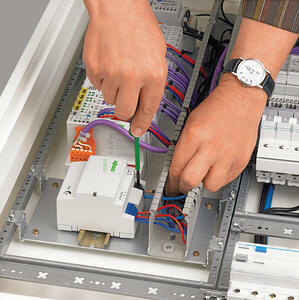 Need a Quote on Wago Products? Find all of WAGO's videos on their YouTube Channel.